Édouard Glissant died on Thursday, February third, in Paris. Born in 1928 in the former French Caribbean colony of Martinique, he left for Paris in 1946 where he studied ethnography at the Musée de l’Homme and history and philosophy at the Sorbonne, introducing into critical discourse — in his dissertation on Aimé Césaire and the Negritude Movement — his idea of Creolization. He taught abroad and in America, both at LSU and then, from 1995 until his death, at the CUNY Graduate School. Glissant began his publishing life in the 1950s, notably with his novel The Ripening in 1958, for which he won the Renaudot Prize, and this polymath’s literary and critical work numbered some forty volumes. Twice a finalist for the Nobel Prize in literature, Glissant was also a political and social activist. He was appointed by former President Jacques Chirac to organize a national museum dedicated to the history of slavery, and he was the founder of the Institute du Tout-Monde whose mission is to broaden awareness of the complexity and richness of human cultures. Glissant was also a signatory on the important 2007 “For a Global Literature in French Manifesto” that sought to erase the categories of center and periphery, or French and Francophone, and replace this rubric with a more expansive and inclusive global category that would allow writers to express all parts of their history and language without fearing the repressive constraints of former pigeonholes. 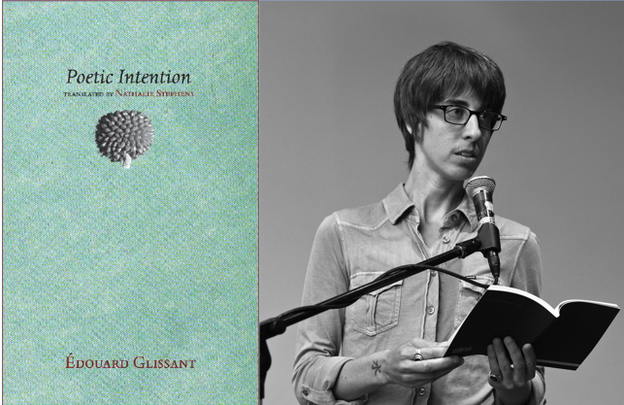 Glissant is perhaps best known for his poetics of relation (or cross-cultural poetics), and a collection of essays published by Gallimard in 1990 bears that name. Here, too, these ideas are fully in evidence. Poetic Intention is somewhat a rattlebag in that it collects essays, many of which the translator, Nathalie Stephens, notes were written between 1953 to 1961 and appeared as “partial publications” (233) in Les lettres nouvelles and in texts of the publisher Galerie du Dragon before Seuil published the monograph in 1969. It is primarily through the poetics of relation that the idea of poetic intention — the title to one section of essays — comes into play as a critical concept. A poetics of relation is Glissant’s theory of the possibility attendant upon a re-alignment of cultural imagination; it comes hand in hand with his critique of Western discourse’s monopolizing intents, in History, with a capital H, and the ways by which Western political agency have used their self-centered (and -serving) epistemologies to justify their often unconscionable and otherwise lazy and chauvinistic practices against the rest of the world. This includes colonialism, and that includes colonialism in the Caribbean, a zone that Glissant says has been rendered mute to itself and its own histories: “Was not what you [Western thought] call History incomplete, not only in reach but yet in ‘understanding’? Is there not in your weary disdain for the historical a sort of affront to those who never had a history for you? The history you ignored — or didn’t make — was it not History?” (23). However instructive, this is now commonplace as a post-colonial critique of Western historiography; but Glissant, among the most hopeful thinkers, goes further. Two figures emerge. The traveler-discoverer-poet and the mute man who himself becomes a poet. The first is not immune to all the pratfalls of the Western mind: it is not enough to go into the world, but there you must contact it. Even once the traveler-discoverer-poet leaves the comforts of home, they must also leave the comforts of mind: “[p]redictable defeat of the generous who intended to allocate himself “essentially” to the other; totalitarian constraint of the Catholic for whom the other is mingled in the commuted essence of the Whole […]” (111). This new person, with a new consciousness, must not attempt to fold the other into an already satisfying account of the world, but rather accept the opacity of the other as the terra incognito, as a finistère (end-of-the-world), where sharing and understanding might begin: “He proves: that opacity is fundamental to unveiling; that opacity, the other’s resistance is fundamental to his knowledge; that only in opacity (the particular) does the other find himself to be knowable. Lastly, that unveiling is the very principle of the Tragic; and that opacity, submitted to unveiling, presumes slowness, accumulation, duration” (168). This figure must accept the world as relation and begin the labor of understanding. With this new mindset, this traveler-discoverer-poet is ready for the confrontation of difference in this newly designated zone of cultural interaction. The mute man, too, must step up, announce his own history, provide his resistance; he must become a poet, and more so in his case, a communal poet, delving into the unspeaking past to root out what the land says of his own history, seeing as how his history has not been recorded in books, certainly not those of the West. The “to-discover[er]” (15) must “enter abrupt and knowledgeable into the simple or thrashed truth of one’s materiality, knowing that that which is not destined to a relation to the other is worthless” (16). The particulars of life where you live, in your country, as experienced by you is the new objective: “The aspiration (the pretention) to the universal must be interred in the dark secret soil where each lives his relation to the other. The poetics of this shared quotidian is fastened in the succulence of your country. (As long as you display the succulence to the aspects of the other, as long as you elect it before the other and tie them together)” (16). Both now are poets. 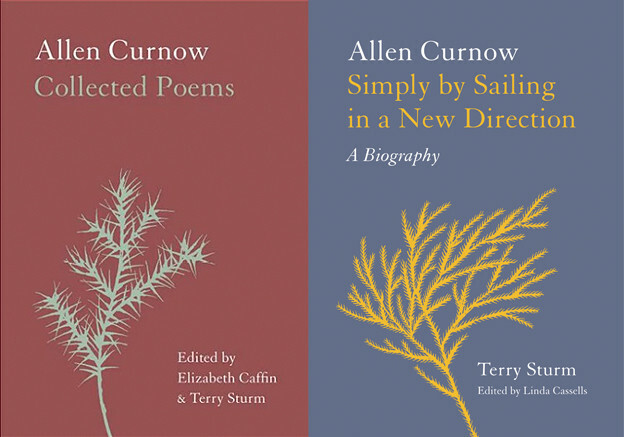 For Glissant respects the possibility of poets in a way so sanguine that it is difficult not to think of Shelley. Only the poets, Glissant writes, have the ear to the land as they ought; only the poets (of the West) saw the totalitarian dogmas of their inherited consciousness (36). Now the poets, one from here, and the other from there, are to come together, speaking for their own countries, their own selves. The mute man turned poet speaks through Glissant: “And I listen to the voice of the Occident, the greatest politics, the deepest dogmas, the most just creators, I can hear the silence every time it comes to this future in which to share the different abysses of man. In respect to which we are similarly new, one and other, in the new injunction” (36). Now there is not a hierarchy of difference, no West-East sway to thinking; every one to every (and not all) other. So thus a critique on universalism and on idealism: “The threatened being who ventures and plays in the drama of the world, that is our being. How impossible is the vow of totality! Necessary, and illusory. It intends to force man (the poet) to watch with lucidity, attentiveness, selectiveness, over all fronts at once. Without forgetting that all idealism erupts without fail by every breach” (111). So thus a goad toward the particular, the cultural: “[…] the relation (the road) winds, discomfited or uncertain, at the non-global, non-absolute practices sewn through space […]” (111). So thus a poetic attention/intention toward whichever island is that of your birth, toward whichever landscape: “To experience the landscape passionately. To disengage it from the indistinct, mine it, ignite it among us. To know what it signifies in us. To carry this clear knowledge to the earth” (228). This recalibration of contact among world cultures seems salutary and hopeful. He urges thinking that seeks to de-polarize world relations between West and East, between self and other, between have and have not. But among the things that Glissant’s theory is not include two concepts that his complex thinking (worthy of dissertations more so than reviews) might be construed to support: multiculturalism, or “diversity,” as a cultural prerogative; and relativism. The first, as indicated by the quotation marks, has become a clichéd talking point of politicians that often fails to be more than the most superficial gesture of the relational: “[…] ‘[C]ontact’ is often a lure, whose fruitful consequences might easily be foreclosed [...]” (111). Secondly, moral relativism serves as a justification for inaction; as a kind of a negative eschatology, it works backward to say that since no God exists and so no fixed moral good, then, if not exactly everything goes, then at least don’t tread on me. This is almost nihilistic. And this is also almost the exact opposite of what Glissant wants: he wants interaction; he wants a confrontation of rooted cultures, self-conscious philosophies; he does not want to replace one totalitarian system (the West) with another (moral relativism). All of this being said, much remains unsaid. For instance, why has Nightboat, a poetry publisher, published this translation? 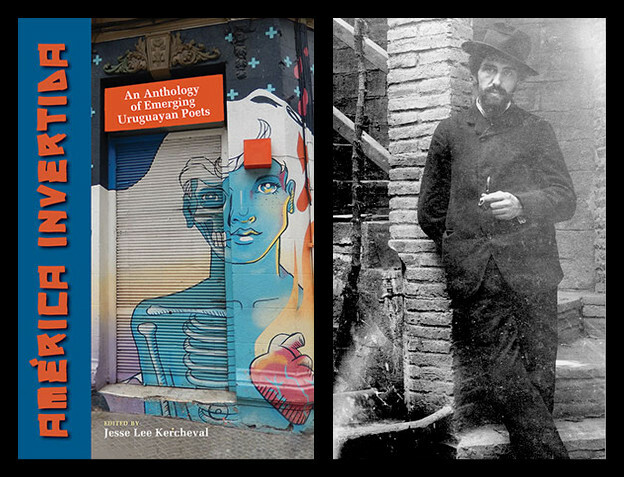 Previous translations have been published by presses with interests in Caribbean studies, Francophone literature, and philosophy and critical theory. Nightboat, as a curator, or judge of a reading community’s interest, suggests that this book is relevant to poets today. How so? Several possibilities exist. The most obvious would be that the volume includes essays on René Char, Victor Ségalen, Paul Valéry, Stéphane Mallarmé, Aimé Césaire, Arthur Rimbaud, Saint-John Perse, Paul Claudel, and Pierre Reverdy — poets all, some unknown to American readers. Beyond this comes the poetry of his language. While the text features a variety of modes, from the knotted language of French critical/creative theory, to the sparseness of abstract allegory, to the directness of personal anecdote, throughout all of this his distinct poetic voice emerges, the most salient feature of which would be his accretionary style. Think of those Russian dolls — dolls within dolls. Think of a beautiful handcrafted basket made of straw — rows upon rows encircling and extending. This is a style that matches his imperative: go to the terra incognito; listen; and through the gradual incursions of understanding, build a relation. The text also offers an analogy pertinent for contemporary American poets. The book serves not just as a means to help reinterpret historical processes (which itself would be enough) but, should you think of the Caribbean islands as poetic enclaves and the West as the mainstream force of tradition, then you have a new context in which to apply his thinking. Community as culture. How, either as a poet coming from Tradition but with a mind open to the newly relational, or as a poet coming from a historically oppressed enclave (also with a mind open to the newly relational), how both have new hope toward approaching the other. The revisionist goals of postcolonial criticism having largely been met, an invitation to multidirectional interaction appears. True, poets must speak from their own “country” and not seek to undervalue difference; but opacity, or difference, here does not suggest a lack of dialogue or interest. Glissant’s views are of beginnings — of setting out — of beginning a long, hard process. And with beginnings comes hope. Lastly, this book is valuable in its re-insistence that the reader think and its reminder that while thinking is difficult, it is also full of joy. An idea, newly found, cannot take on its whole weight immediately but develops its depth and meaning in time and through the accretions of experience and contemplation. This book argues that a text that bears re-reading is one that doesn’t shed its fruits upon first, easy contact; rather, due to its recalcitrance and its thoughtfulness, such a text is one that takes time to find its rightful place in your mind. With his death, perhaps now there will begin a sustained championing of his work. The odd fact that it has taken forty-one years for this book to be translated not only implicates America for its disregard but also speaks to his ideas’ broadening resonance. His ideas don’t apply just to the Caribbean or just to French literature; with the recognition of American culture’s fragmentation, his ideas of inter- or intra-cultural movement and exchange speak as ably to the dysfunctions, as well as the possible avenues to hope, we experience today.